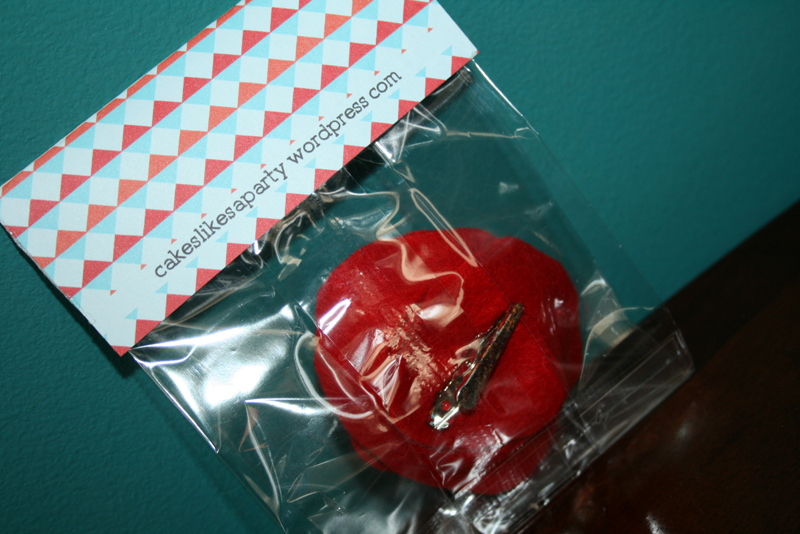 Another simple way to add a little “wow” to a party is by repackaging whatever you are giving as the favor. Whether it be a knick knack, candy, a cookie, or a little flower clip like this, it makes saying “thanks for coming” so much cuter. 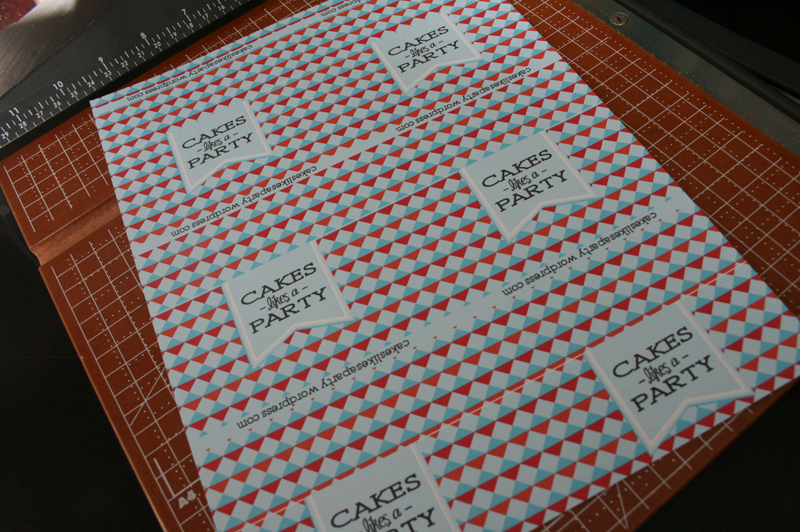 Print your design or find a pretty paper you’d like to use, and cut it down to the width + about 1/4 inch of the cellophane bag you are using. 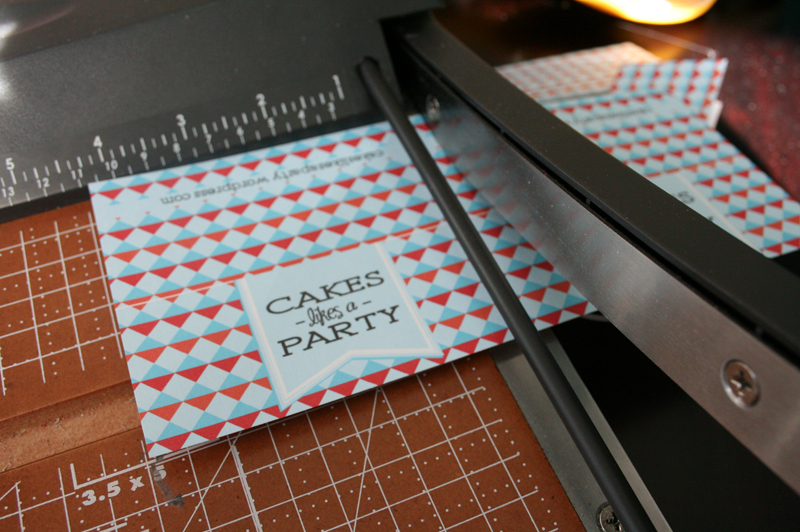 Height should be about 3.75″ unfolded, and just less than 2″ folded. 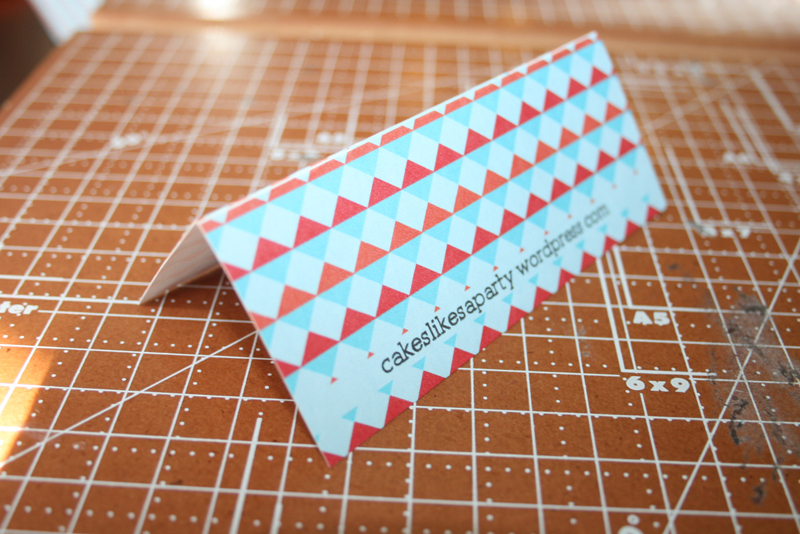 Cut your design down to size… …and if you’re feeling extra crafty, you can add something small on the back (like “love, your name” or in this case, my web address.) Just make sure it’s upside down when it’s printed. That way you’ll ensure that when you fold it, both sides will be right side up. If your cellophane bag is too long for what you’re putting inside, give it a trim and get ready to assemble. 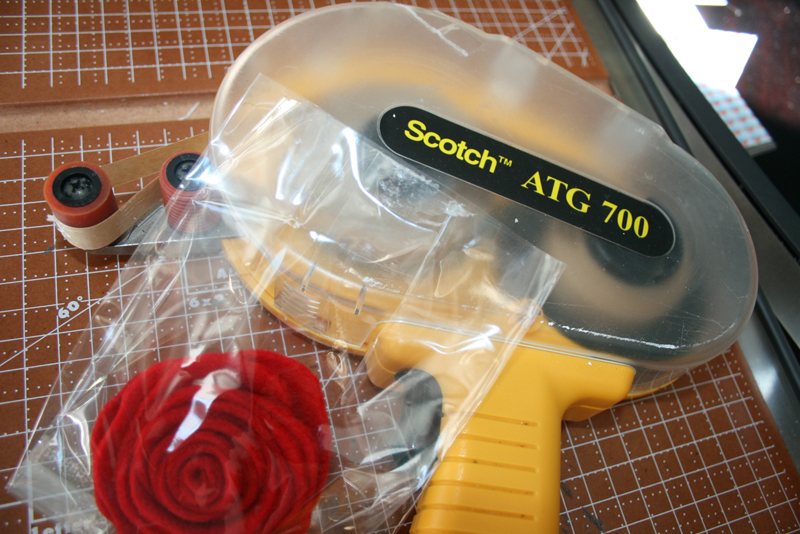 I used this tape gun (probably the most useful thing I own) but you can also use double stick tape or a stapler-which is the easiest route. After putting your favor inside the bag, you can tape it shut if that helps. 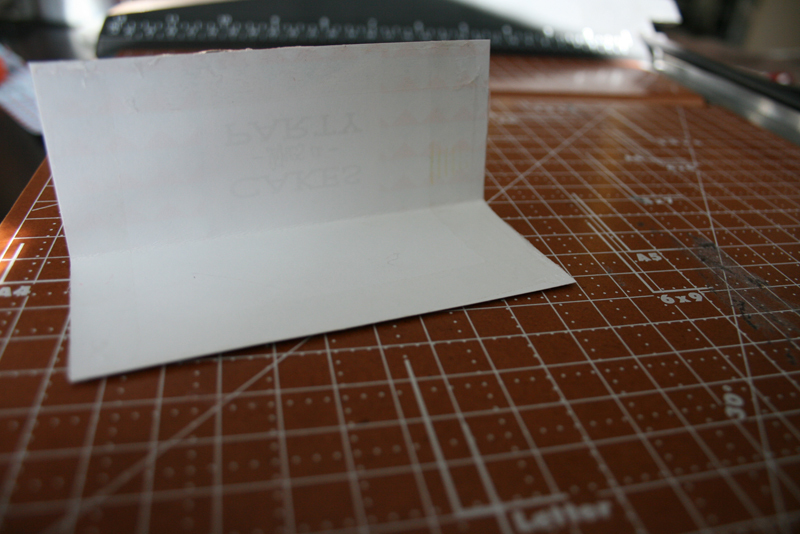 Then, tape the outer edges and sides of your folded paper. Make sure you keep the tape as close to the edge as possible so that when you fold it over the bag, it sticks to the other side of the label… remember it should hang over about an eighth of an inch on each side. And there you have it! 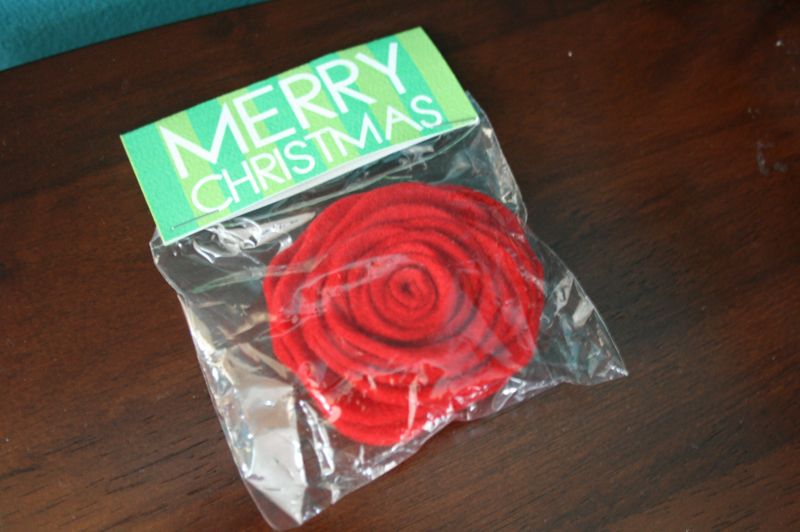 Here’s the same flower in a smaller bag that I stapled instead of taping. Same idea, but much easier. Both look great. Have fun repackaging! And coming up one day soon, I will teach you how to make that flower. 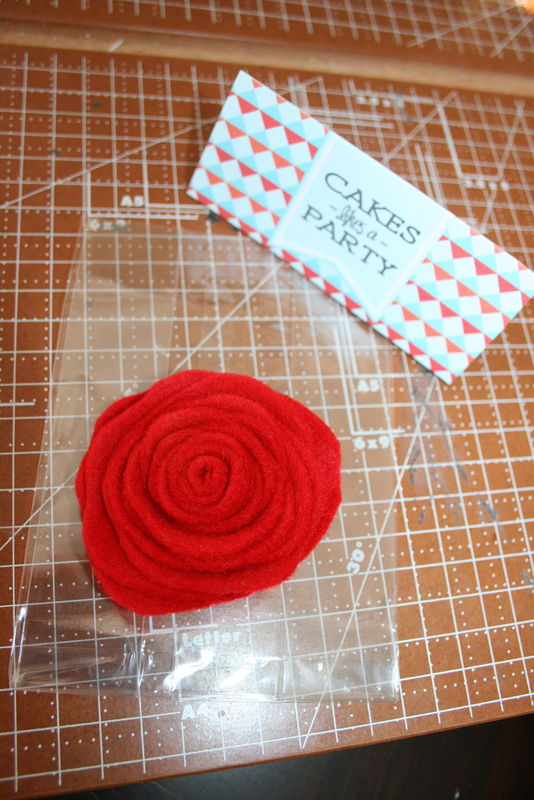 This entry was posted in how to's and tagged favor bag ideas, favor bag labels, how to make favor bag, how to make favor bag labels by Annika. Bookmark the permalink. The programs I use are ones I went to school to learn and I wouldn’t recommend buying them unless you took the time to take a few classes. 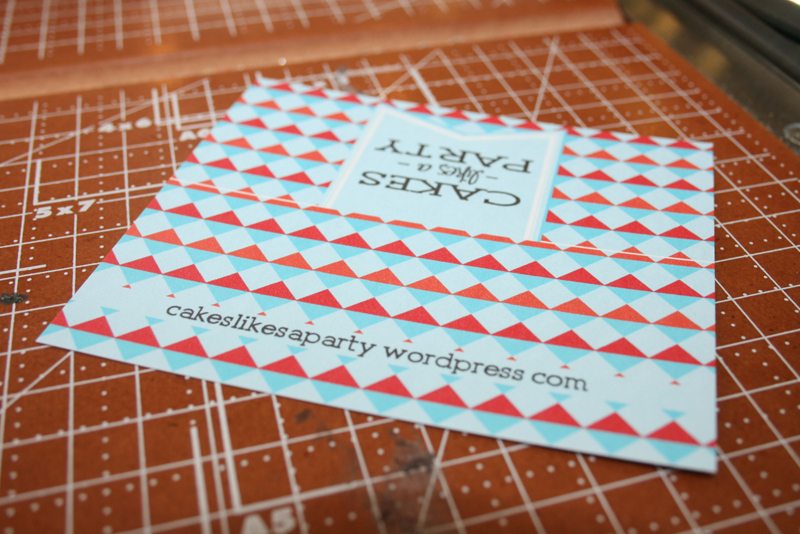 My mom uses and loves Print Shop and I think that is a little more user-friendly and you can create some pretty cool things with that program. Hope that helps! That is adorable!! 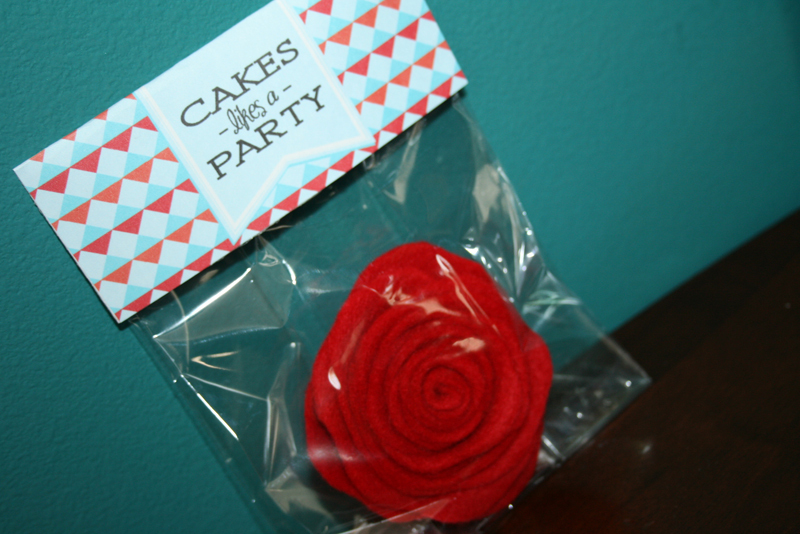 I am feeling so inspired, I might just have to plan a party so I can design some of these cute goodies! i want the flower how-to! my fabric ones keep turning out weird. and i only have 2 months until i need some seriously cute flowers! so, you know, when you’re not doing a gazillion other things…..